This rugged cube is portable, durable and rechargeable. It even strobes, flashes and changes color with the touch of a button! 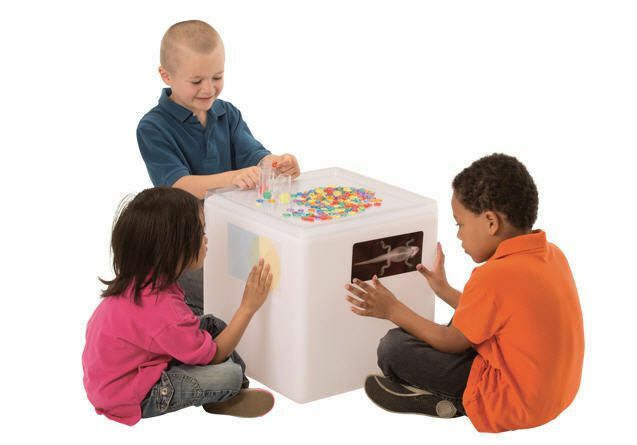 The cube is the perfect size for individual and small group play. Young children can stand or kneel at the cube and engage in focused, quiet play. The easy-to-clean surface is ideal for art and exploration activities both indoors and outdoors. 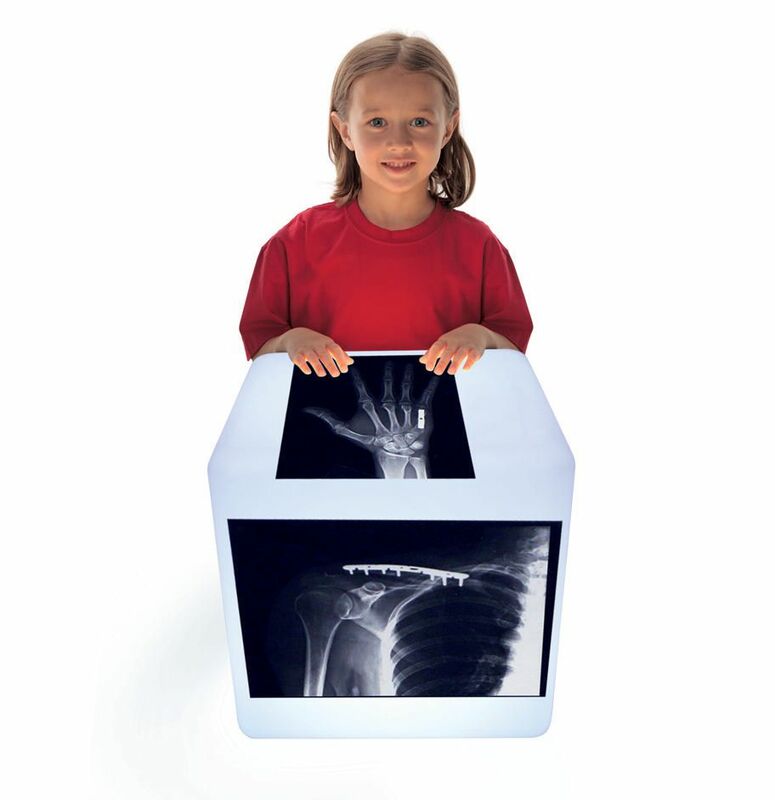 Use the cube for examining transparent and opaque objects. Add interest to counting, sorting, sequencing and building activities. The sturdy construction, robust battery strength and long lasting LED light source are good for years of tough use. The cube adds a high level of excitement to your classroom environment while engaging reluctant and special needs children. It’s perfect for Early Years and can accommodate a wide range of ages and learning levels. The Accessory kit features lots of safe and colorful materials to play with on the Educational Light Cube. Count and sort beautiful bead shapes. 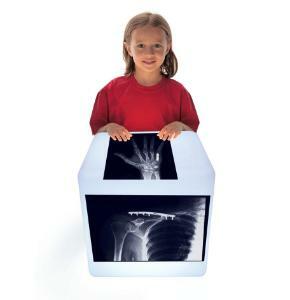 Examine details in x-rays and layer Optical Illusion sheets to discover interesting patterns! Drop paint onto the washable Educational Light Cube and drag paint scrapers on top to make swirls and lines. Use our new Squiggle Pipettes to develop fine motor skills. Discover amazing possibilities with these sensory play resources! The teacher guide includes detailed descriptions of fun projects to direct your classroom light table activities.